Cell Science Cell Protection Balm is a triple-action skin treatment that moisturizes the skin, soothes the skin, and boosts the skin's natural healing process. Perfect for post treatment skin or irritated skin conditions. GlyMed Plus Cell Science Cell Protection Balm is an all-purpose repair balm that glides smoothly onto the skin to protect it and soothes irritation and inflammation. Blending a unique array of botanical extracts, this treatment balm cools the skin on contact. At the same time, active ingredients stimulate the skin’s natural healing process to aid in the skin’s recovery. Perfect for post-treatment skin and dry, dehydrated skin conditions, GlyMed Plus Cell Science Cell Protection Balm showers the skin with moisture for a supple, toned look. 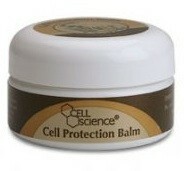 GlyMed Plus Cell Science Cell Protection Balm is recommended for all skin types and conditions. After cleansing, apply GlyMed Plus Cell Science Cell Protection Balm to the skin as directed by your skin care professional. Reapply as needed for added hydration.